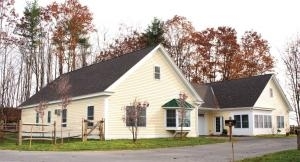 The Lodge at Otter Creek Senior Living Community in Middlebury, VT offers unparalelled beauty, security and service. Offering a range of all-inclusive rental options that provide residents with luxury, amenities and elegance-Spacious Cottages, Independent Living, Assisted Living and The Haven Memory Care Program. Located on 36 beautiful acres within minutes of the cultural and artistic vibrancy of Middlebury College and the Township, surrounded by walking trails, apple orchards and panoramic views. Offering all levels of senior living and care.